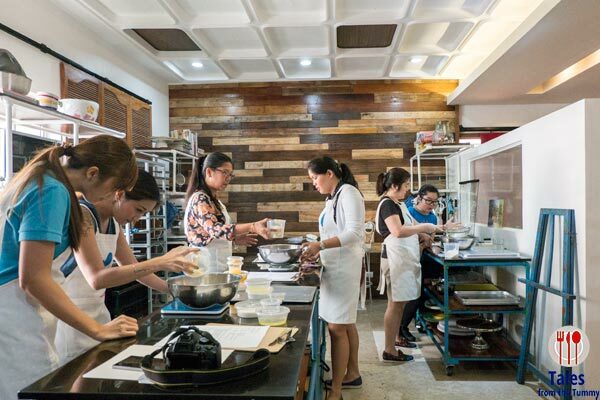 Nikko’s Baking Studio is a cafe, culinary school and bakery tucked in one of the unlikeliest places. You may have passed the place on Paseo de Roxas many a time unbeknownst to the little wonder. 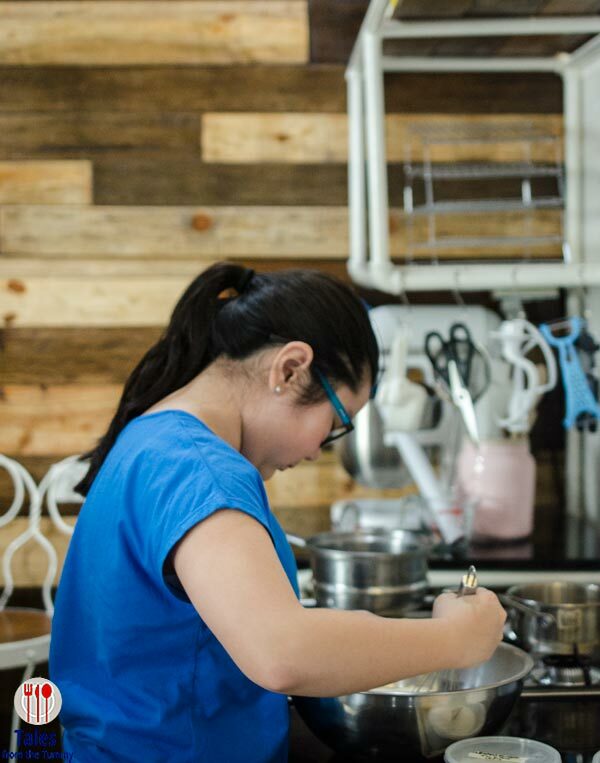 We first discovered the pastry wonders at Nikko’s Baking Studio last year when we sampled a whole lot of her creations. We also got to know Chef Nikko a lot when we shared a table at Best Food Forward. 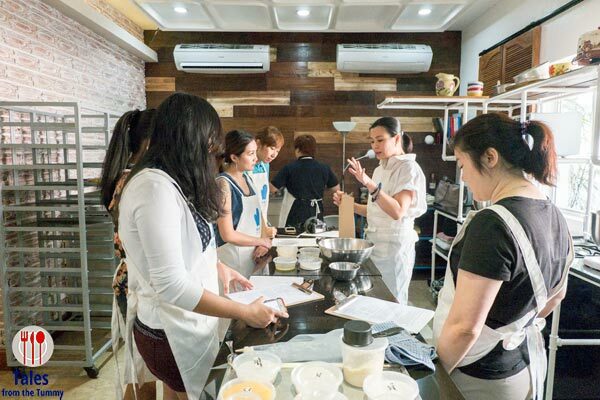 This time around, we were invited to participate in a macaron baking class for two. Lauren and Irene were going to be learning how to make them while I will do my best documenting and eating. 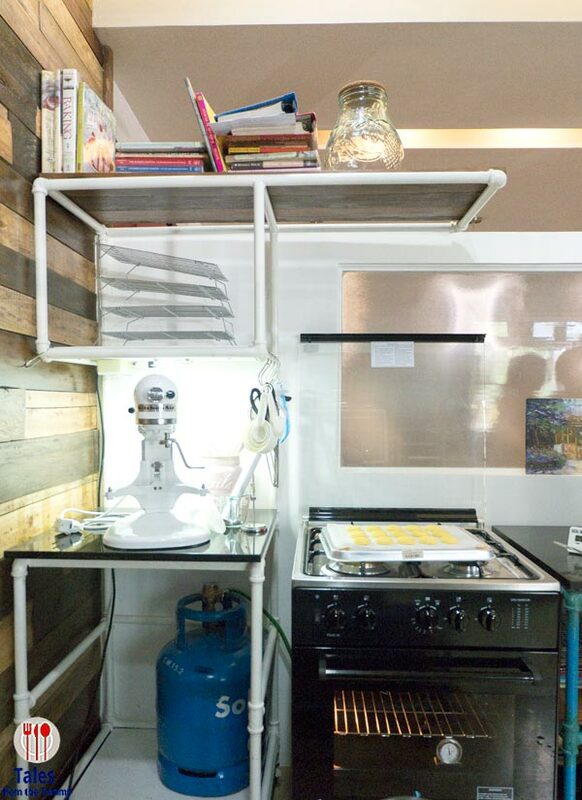 Nikko’s Baking Studio has 6 fully equipped stations with gear can easily find in your home. 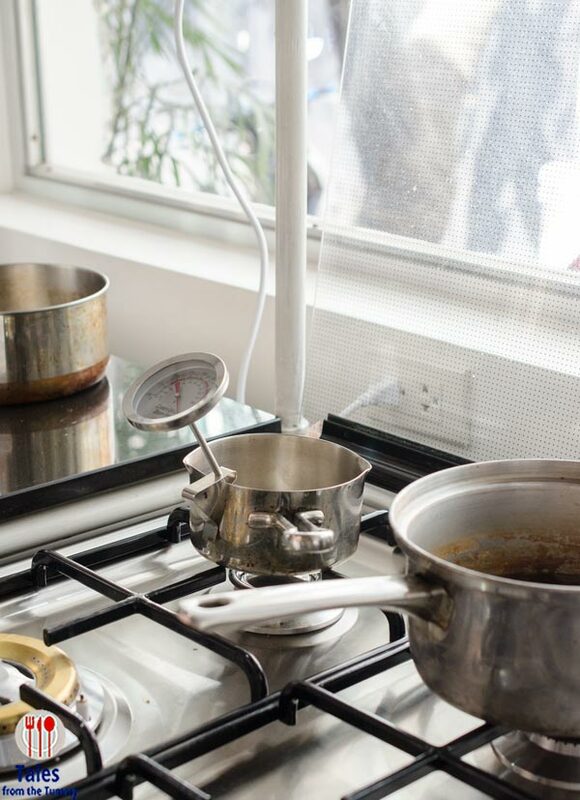 There’s an oven with 4 burners, a Kitchen-Aid mixer (a workhorse, Irene can attest to) and a microwave (our station was missing it). 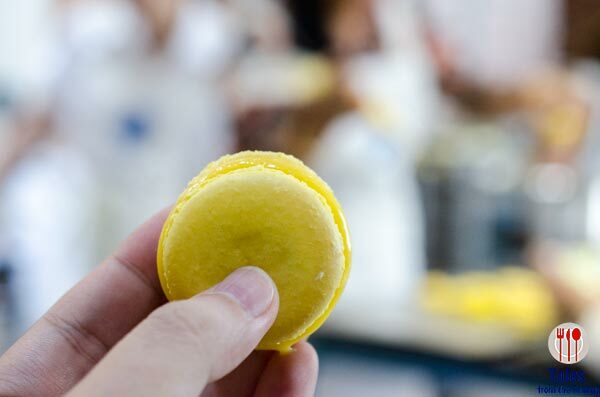 Chef Nikko started out briefing all the participants on what they would be making for the day (macarons). She also introduced all the ingredients and reminded everyone that she’s already placed them in containers for expediency. 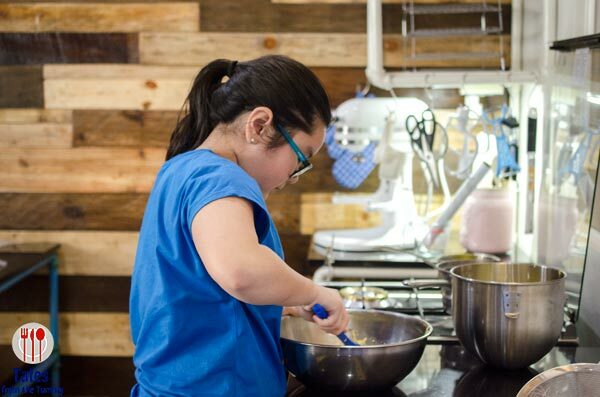 For regular classes, students will be the ones to measure all their ingredients. 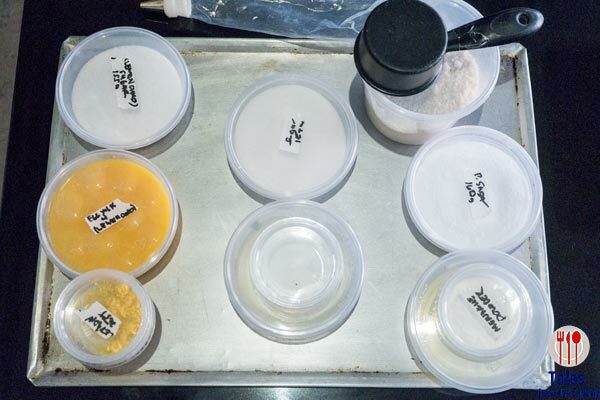 A reminder from Chef Nikko is to measure the ingredients again before using them just to be sure. 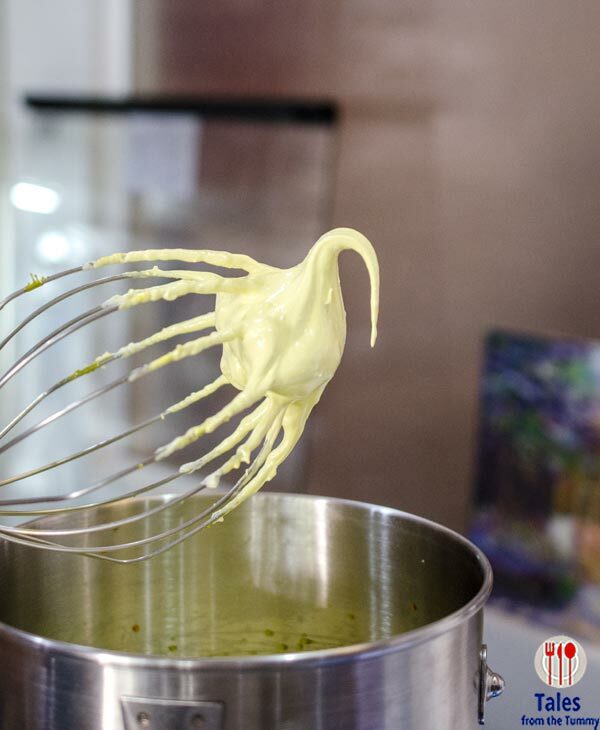 Chef Nikko ably demonstrated each step of the process. She answered each question cheerfully and you would not be afraid to ask them. The girl that was adamant she was not going to be participating ended up taking the cudgels with Irene assisting her with the more complicated stuff. 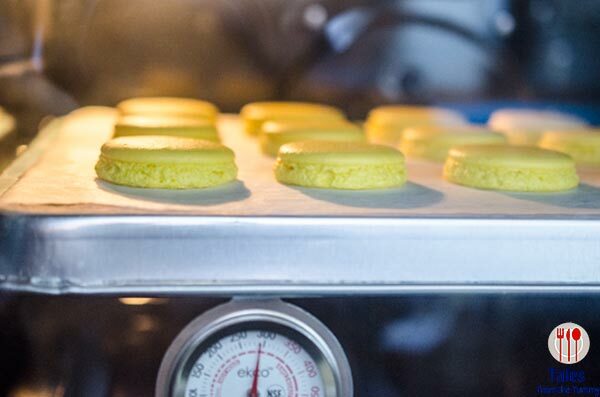 Time to get these macaron shells on the baking sheet and stick them in the oven. 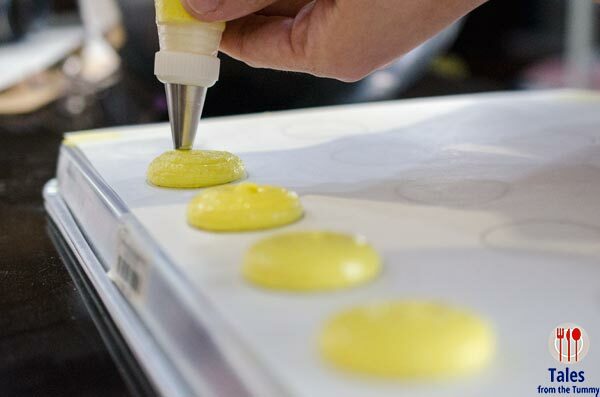 These bright yellow shells are delicate pieces of pastry that are temperamental and unpredictable. You’ll be constantly watching them rise and be on the look out to pull them out of the oven in a jiffy. Everyone was busy working and creating while I was in the corner feasting on some of the snacks Chef Nikko prepared. 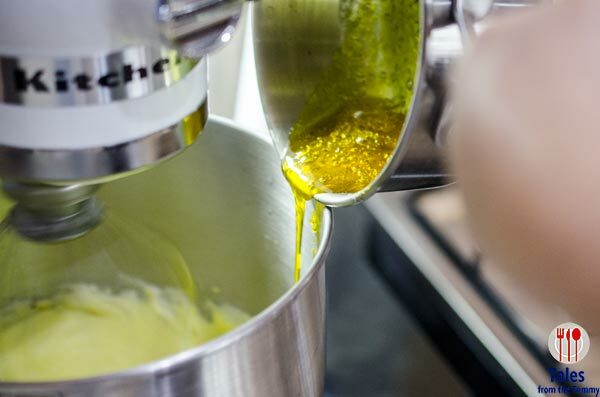 It’s time to assemble the macarons. 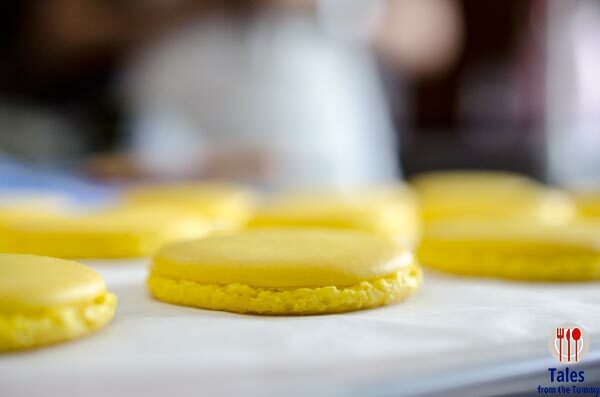 Here’s the finished product, Lemon Macaron, tangy, chewy and with a slight crunch from the meringue shell. Who knew they could make this in a few hours. 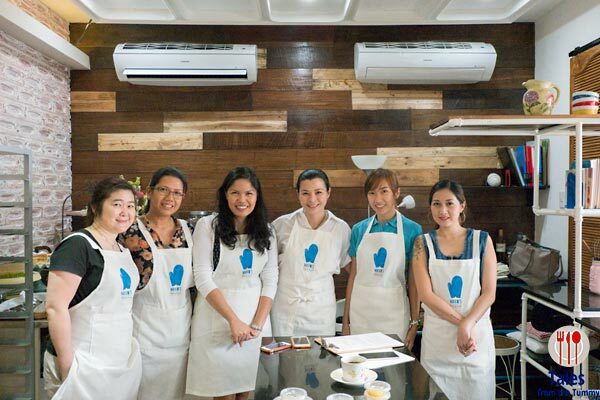 Check out their baking class schedules on the Nikko’s Baking Studio FB Page. Looks like Lauren had fun! <3 Sayang. Missed opportunity for the GOppets gals. 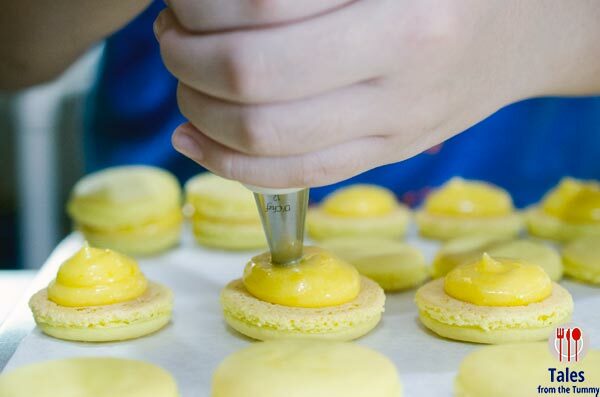 She did, although she’s more partial to the vanilla macaron so she did not taste her creation. We missed you guys also. Thank you for the feature, Richard!!! thanks for having us, Chef Nikko. Without a question, it’s one of the best blogger events I’ve ever attended. I didn’t know baking is so much fun. I am now thinking of going back just to enjoy the food, still can’t get over that longganisa pasta and the lemon macaron.